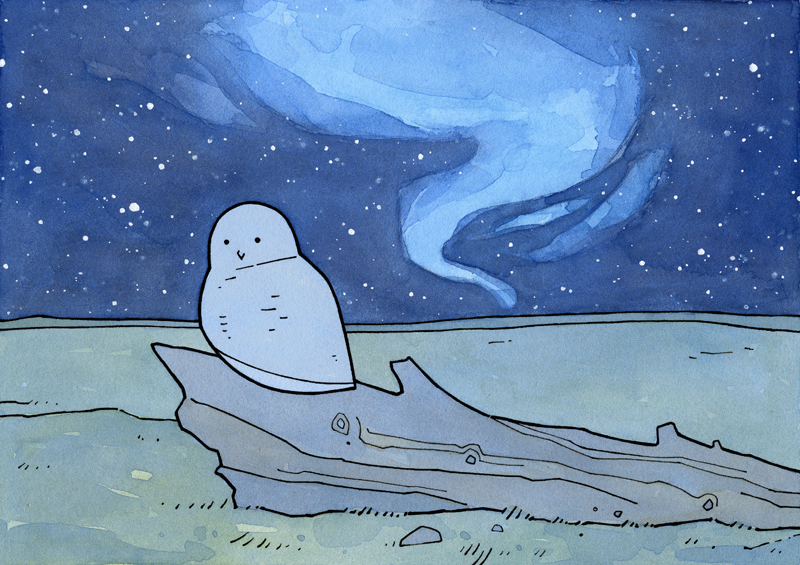 A new illustration of a snowy owl sitting on a driftwood log, under a star filled sky and the glowing Aurora Borealis. Packs of 10 will be available in a couple days! 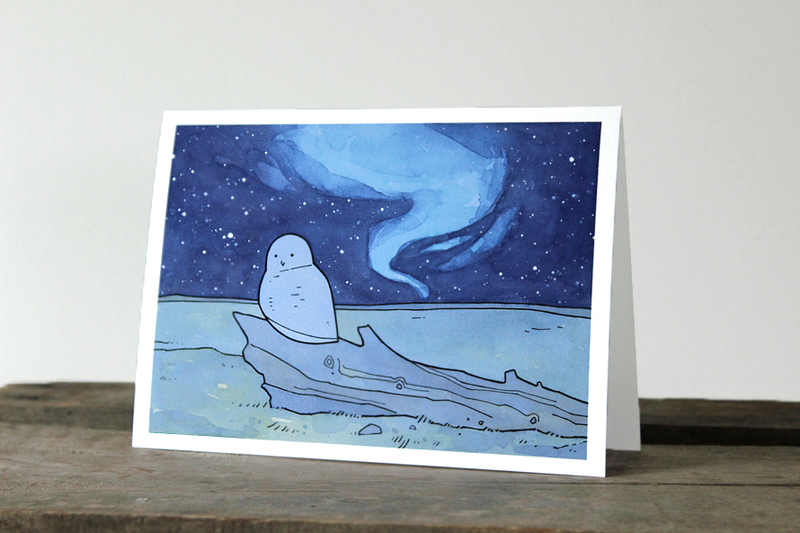 I created some new illustrated owl cards for my shop this weekend. This one may be my favorite. 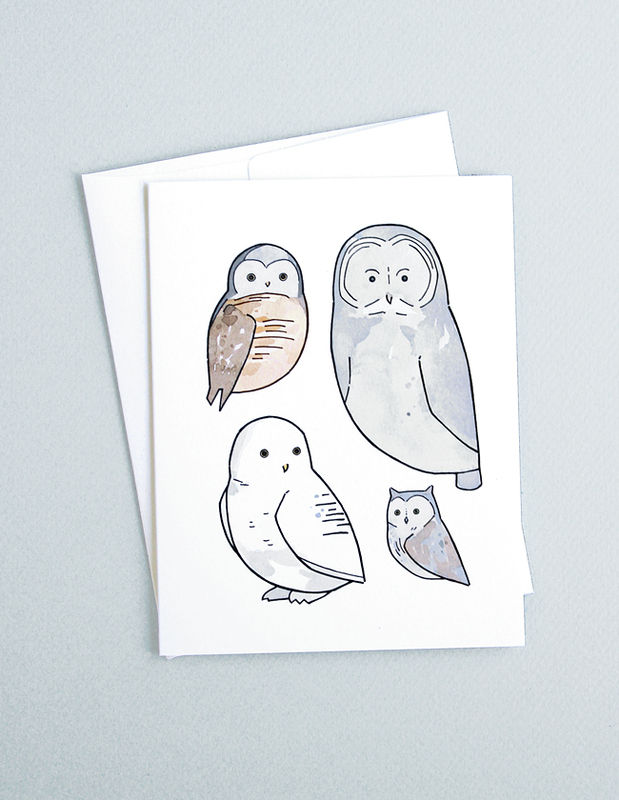 A card of “gray owls” featuring a Northern Hawk Owl, Great Gray Owl, Snowy Owl, and a little Screech Owl. 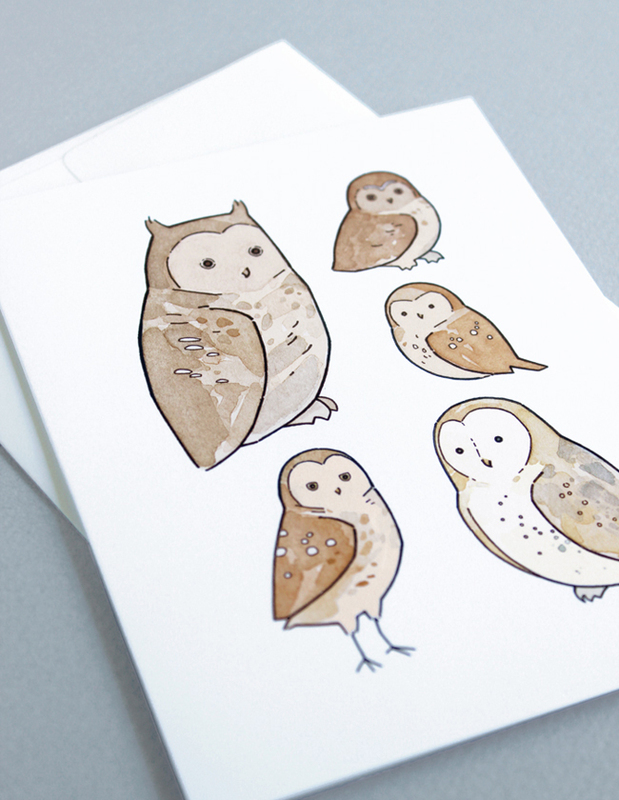 Little card of brown owls. Featuring drawings of a Great Horned Owl, Elf Owl, Northern pygmy Owl, Burrowing Owl, and Barn Owl. 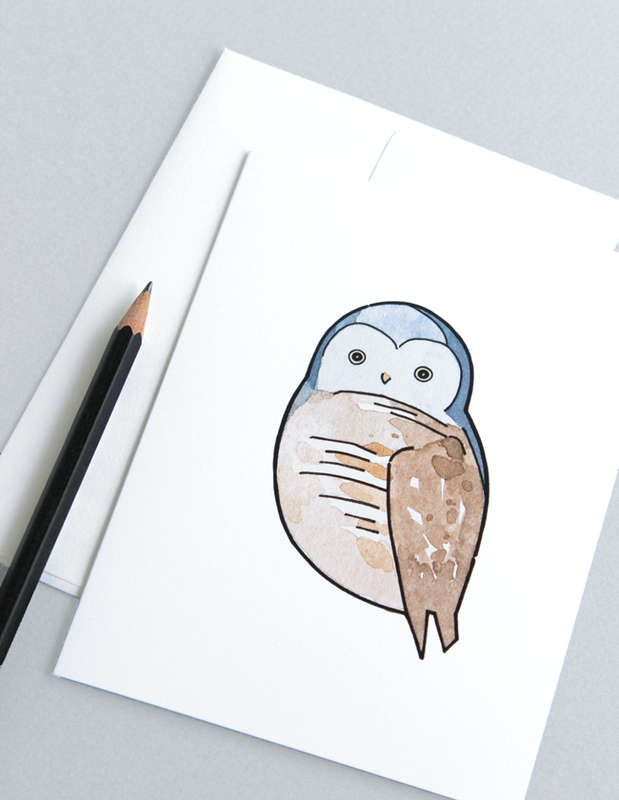 I’m working on listing a set of individual owls like this Northern Hawk Owl as well as packs of the cards above. So stay tuned! This is my other Christmas card for this year. 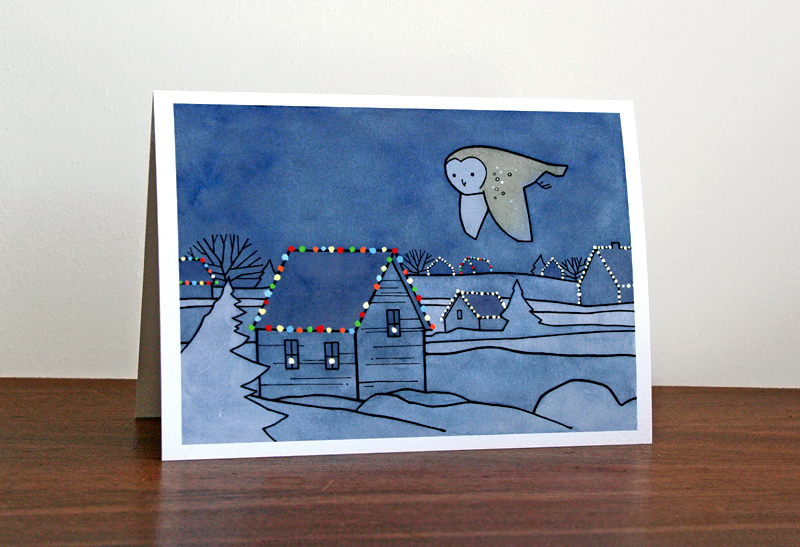 A Barn Owl flying over little houses decorated with Christmas lights. 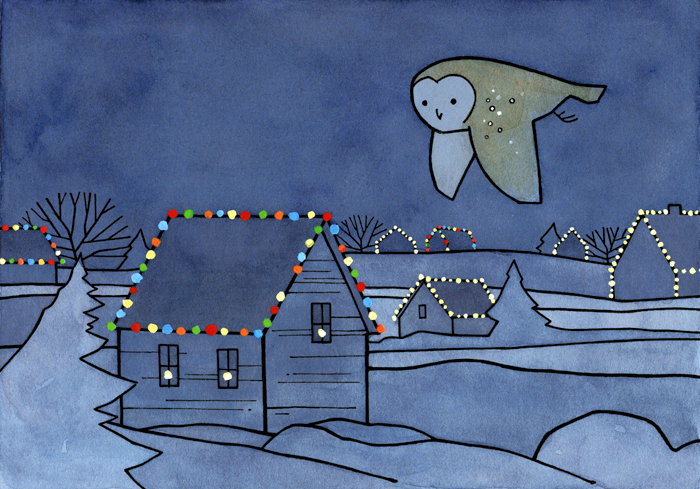 Barn Owls tend to remind me of Christmas, so I’ve had a cozy little scene like this in my head for a while. I love the colorful old Christmas lights so I had to paint those in as well.